This time we combine the price updates of December 2017 and January 2018. Our overall whisky index started moving again. Prices for Macallan continue to skyrocket! Due to being off to holiday in January these latest price updates are rather delayed. However, the whisky auction market did not have a break and we added almost 10.000 new price observations to our whisky database. 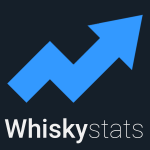 After spending seven months at around the same level of 340 index points, our Whiskystats Whisky Index finally started moving again. And of course it went upwards. The currently 300 most traded scotch and japanese single malt whiskies gained more than 4% in value in January 2018 alone! It thereby reached a new all-time peak of more than 350 points! The total worth of our hand selected Fab50 bottles also climbed to now stand at 91.400 Euros. If we try to narrow this index movements down, we quickly find that two of our major region indices gained significantly in value. Our region indices describe the value development of the currently 100 most traded bottles of each region we track. Over the past couple of months we observed our Islay index to fall from 336 index points in May 2017 to 310 index points in December 2017. This equals an almost 7% lost in value. With the January auction results we now saw prices for these most traded Islay bottlings climb again. Our Islay index now stands at 325 index points meaning that it went up by around 5% in January. Our Highland index on the other side experienced a solid growth from January to October 2017 were it gained 10% in value. Only recently it dropped back to 280 points. In January 2018 now it jumped to almost 300 points which marks a new all-time peak for this Highland region index. A look at the other region indices unveils that the 100 most traded Speyside bottlings experienced a massive price increase during the course of 2017. The Lowland single malts follow a more decent but solid growth. Same holds for Campbeltown. For the first time since late 2015 we also observe an constant index growth for the Japanese single malts. This is of course not even close to what we have seen during the Japanese Whisky Boom. Nevertheless, from September 2017 to January 2018 the 100 most traded japanese single malts gained 7%! And then there is of course Macallan which dominates our monthly updated distillery ranking. In December and January our corresponding Macallan index climbed from 576 to 610 index point smashing through the 600 points threshold with an ease. It seems like the Grand Macallan Price Rally has no plans to stop its drive in 2018. In fact never before had we seen any of our indices going that high. Even our Japan index “only” reached 595 points in its peak during the boom in mid 2015. If we focus on some single bottles there we find of course yet another Macallan to put all others to shame. The Macallan 13yo (1995) Easter Elchies Cask Selection changed ownership for more than 19.000 Euros in December 2017! Also the Macallan 20yo 24.115 by SMWS traded for 1.000 Euros. But not everything was Macallan. The Bowmore (1964) Pure Malt reached more than 6.000 Euros. A 12yo Port Ellen by James MacArthur traded for almost 15.000 Euros. The most traded distilleries of the last two months were of course Macallan and Ardbeg, although in December 2017 the second place was taken by Highland Park with 337 observed trades. Among the most traded single bottles there we find the Ardbeg Kelpie Committee Release 2017. The average monthly prices of this Ardbeg release lay at around 170 Euros recently. Also very often traded were the Macallan 18yo 2017 Release, the Highland Park Dragon Legend and Quercus as well as the Glenmorangie Midwinters Dram to name a few. As always, remember the check the latest value of your personal collections. The latest round of auctions was record-breaking in many ways. In addition Brora and Clynelish attract some attention while Campbeltown is closing the gap.This is the Whiskystats price update for October 2018! We added the latest auction results to our database. To keep an overview on what happened, we summarize the most outstanding market movements of each month. Hence, this is the whiskystats price update for February 2016. This topic contains 0 replies, has 1 voice, and was last updated by Whiskystats 1 year, 2 months ago.